All Together Wow...The dust has finally settled and we are looking back on our maiden voyage. There was a truly magical atmosphere across the weekend, where people were respectful of each other, the beautiful landscape and wonderful performers. 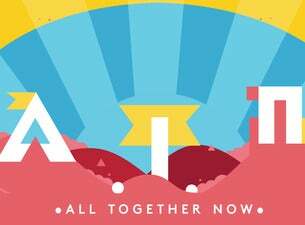 We now have the privilege of getting back to work on the second edition of All Together Now, which will again take place on the August Bank Holiday Weekend - 2/3/4 2019. We have been inspired by the setting of Curraghmore Estate, as well as our audience of like-minded people, music lovers, passionate performers, families, artists, musicians, creators, rebels, and refugees of a changing festival landscape. plus many more to be announced across 16 stages of music, theatre, spoken word and comedy.